New Delhi, Nov 6: Another NTPC boiler blast victim, brought to Safdarjung hospital here after suffering extensive burns in the accident in Uttar Pradesh's Rae Bareli, died here on Sunday, said hospital officials. The toll has now risen to 37. Identifying the deceased as Chandra Pratap, 22, a senior doctor from the hospital said he had suffered 80 per cent burns. Pratap was among the nine injured brought to the Safdarjung hospital in the first lot late on Thursday. Later three more injured during the incident were admitted to the hospital's burns ICU. However, one of them, Santosh Kumar, 40, who had suffered 90 per cent burns, succumbed to his injuries on Saturday. At the All India Institute of Medical Science (AIIMS), six patients suffering burn injuries during the incident have been admitted. Most of them have suffered extreme facial injuries. 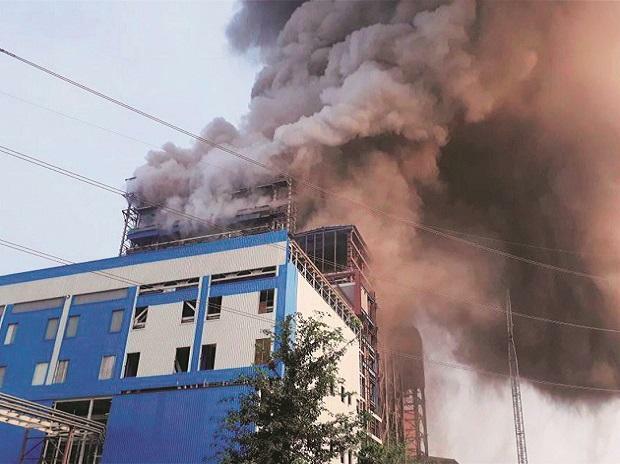 The massive explosion took place in state-owned power plant's Unchahar town unit on the Lucknow-Allahabad He Tuesday. Many were trapped when the boiler burst and a huge ball of dust rose, making the rescue operations difficult.